The magical block stacking puzzle game Tricky Towers is out now on Nintendo Switch via the Nintendo eShop for €14.99. 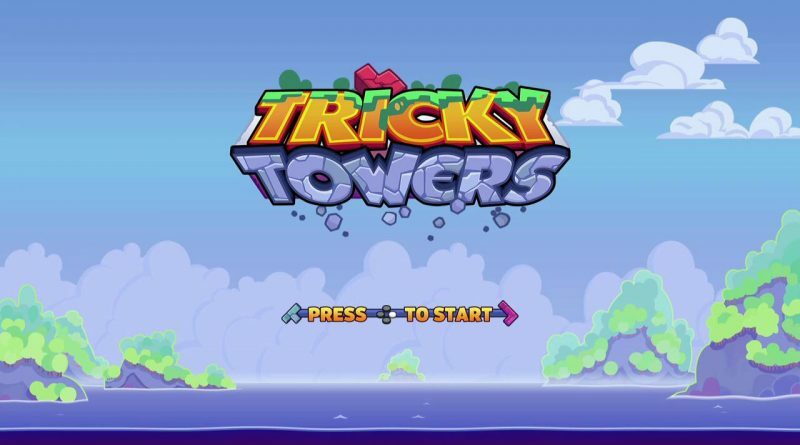 Tricky Towers is a frantic physics tower building game where your wizard character uses magic to stabilize your tower, or to undermine the structure of your opponent’s tower. Grab your wizard’s robe and spell book, time to use your engineering skills and build some Tricky Towers. Stack your bricks and use your spells to create the tallest stable tower, for what self-respecting wizard wouldn’t want to show off their skills by literally towering over their peers! But be wary of jealous rivals, who will try and push your tower down with nefarious dark spells to ensure their dominance. Block these spells to protect your tower… oh and be sure to return the favor with your own devious magics. Match your tower wizardry against 3 others in local multiplayer, or challenge wizards around the world in an online battle of magics and engineering mayhem. Try your skills in various tricky wizard trails and set a high score on the leaderboards.